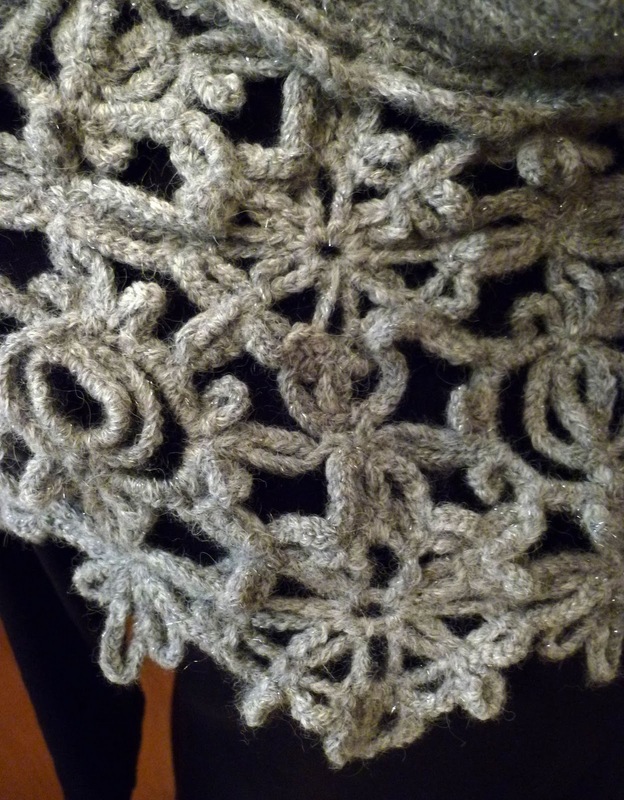 Stitch Story: The Loken Cowl for Berroco! The Loken Cowl that I designed for Berroco, was just released last week as part of an eBook featuring a lovely new yarn called Flicker. I am really proud of this design, and it is so exciting to finally be able to share it with you! 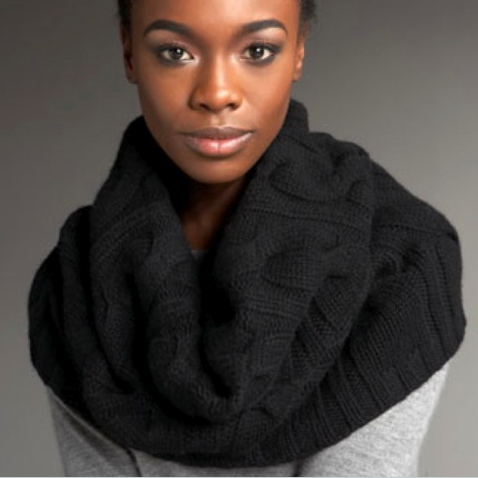 I was contacted by Norah Gaughan, the design director at Berroco, and asked if I could design a cowl inspired by the two photos below. She wanted the fabric to have the look of the photo on the left, and it to be about the size of the cowl pictured on the right. 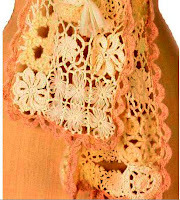 It was also to have the "drippy" quality of the Beseme Scarf I designed for them previously. 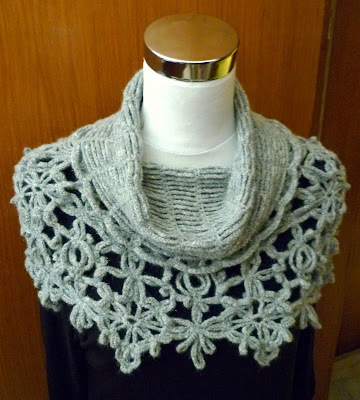 From the beginning, I decided that the cowl neck would be a simple fabric with a lot of drape, and something that wouldn't compete with the motifs below it. 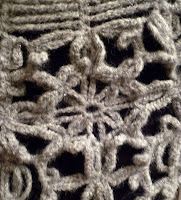 Then, I put that decision in the back of my mind and began to focus on the motifs. 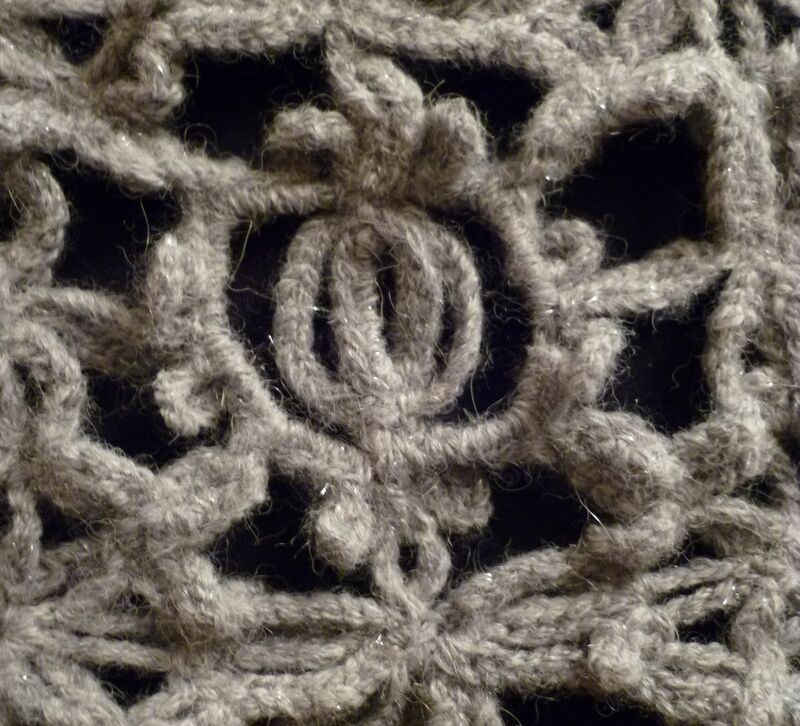 I went through all of my resources looking for motif ideas, and kept going back to this one. I was attracted by the loops in the last round, but knew I needed to change the center. Then, I had to design a companion motif to fill in the gaps, That was the most difficult part of the project, believe it or not! It needed to be the same style, but totally different. I really celebrated the day I found a partner for the first motif! Both motifs are very loopy and I like the way they ruffle up and give texture to the piece. 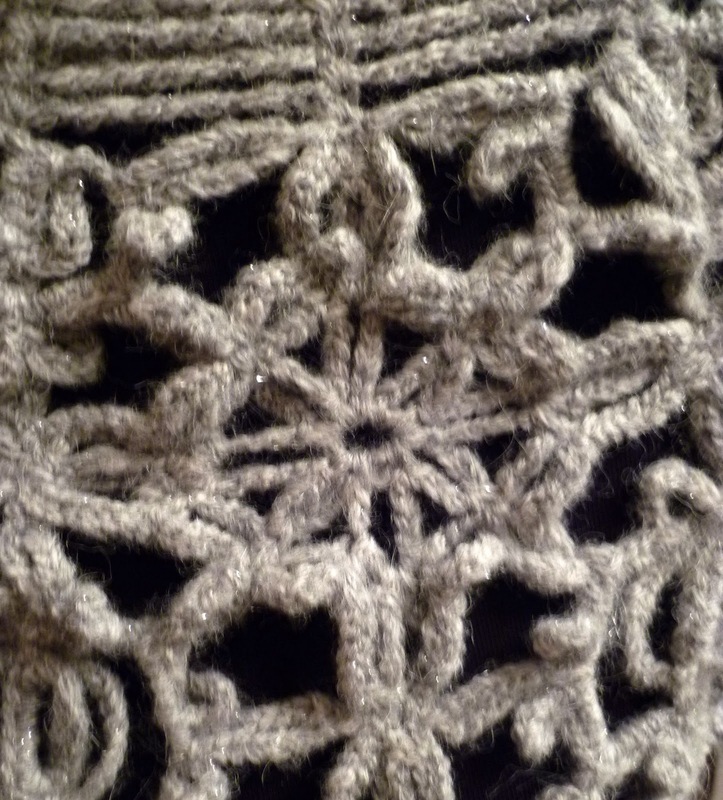 The cowl requires careful blocking, but after that, you can let the motifs do as they please! There are 2 ways to wear the cowl, either loose around your neck as in Berroco's photo, or pulled down around your shoulders as pictured below. One cowl- two different looks. This pattern is rated "experienced" because of the care needed in joining the motifs, but after you have completed and joined all of them, you are rewarded by getting to crochet the cowl neck. It so simple, it grows quickly and you will wish you could keep going and going! This is absolutely beautiful! 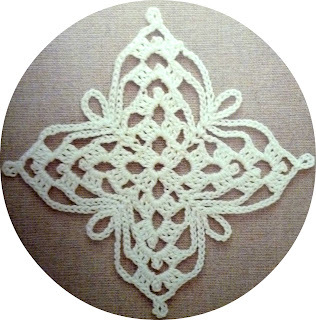 I can't wait until my skills are up to this pattern - better get practicing. Thanks for sharing it! Thank you, Make Me Over!!! That is super gorgeous. 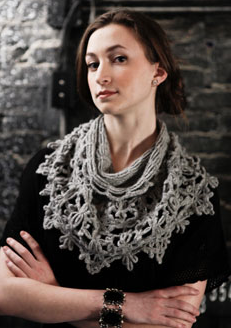 I often have mixed feelings about how cowls look but there's no doubt that this one is gorgeous. 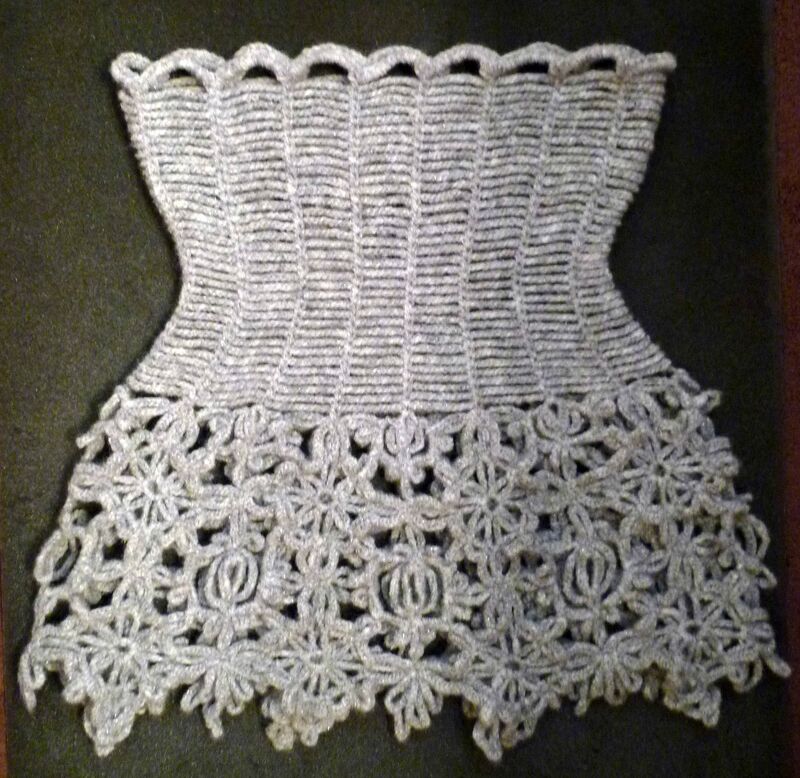 Looking at the shape of it in the bottom picture I wonder if the pattern could also be adapted as a corset pattern if the yarn used was stiffer? Holy crow! That is just stunning! 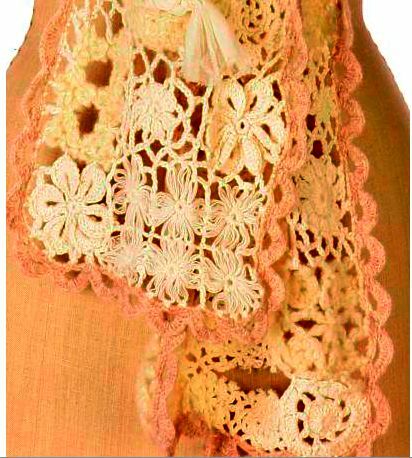 The bottom photo makes it look like a bodice with a little skirt at the bottom. Thank you, CrochetBlogger! 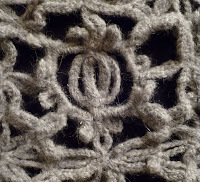 It might be possible, with an opening in the front or back, stiffer yarn,and a smaller hook. The top part would be fairly easy to size by adding or subtracting chain stitches. Thank you, alltheshinythings! I included the bottom photo, because I love the way it looks flat! I loved it the minute I saw it. All your designs are amazing Shelby. Thank you, MeredithJean! You made my day! I just found ypur blog. How did you come to name this the Loken Cowl? My maiden name is Loken.